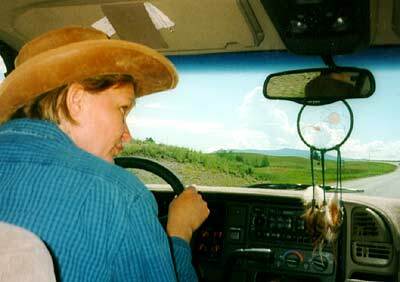 One of Beate's great passions is driving trucks (see Tonto's Home Page). 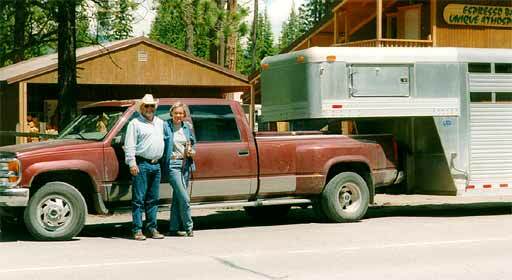 Beate had her great moment in 1998, when Wayne let her drive his BIG truck, complete with ten-horse trailer. 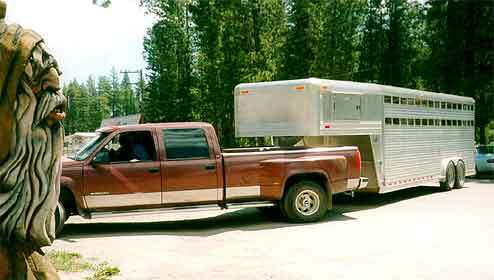 A year later she also drove the big hayer.